Your flights are booked and your overseas trip of a lifetime is fast approaching! You've planned the itinary, organised the hotels and worked out your travel plans. You've refreshed the local weather forecast on an hourly basis, searched for the best exchange rates, sorted your portable wardrobe, charged your gadgets for the flight, packed your phone chargers, toiletries, organised visas and most importantly, sorted your mobile phone roaming. But there's one thing you've overlooked. What gifts are you going to take with you for your hosts or colleagues that you are set to meet with? Buying gifts for people you are yet to meet can be a daunting exercise. Even buying gifts for friends and family can not always go to plan. You're wanting something special, something Australian and something easy to take. No one wants to be carrying around heavy bottles of South Australian wine, but you can't arrive empty handed. First impressions matter and you want your hosts or colleagues to remember you not only for your professionalism, quick wit or undeniable style, but also for your thoughtful gift. So just before you spiral into a panic, take breath and prepare to be inspired. Here are Australia the Gift's top 20 most popular Aussie gifts to overseas with you on your trip. We've taken the guess work our of Australian gift buying and have compiled a list of thoughtful, Australian themed, unique and easy to carry items. For those in a hurry, we've added in handy links to make our Australian gift idea guide easier to navigate. 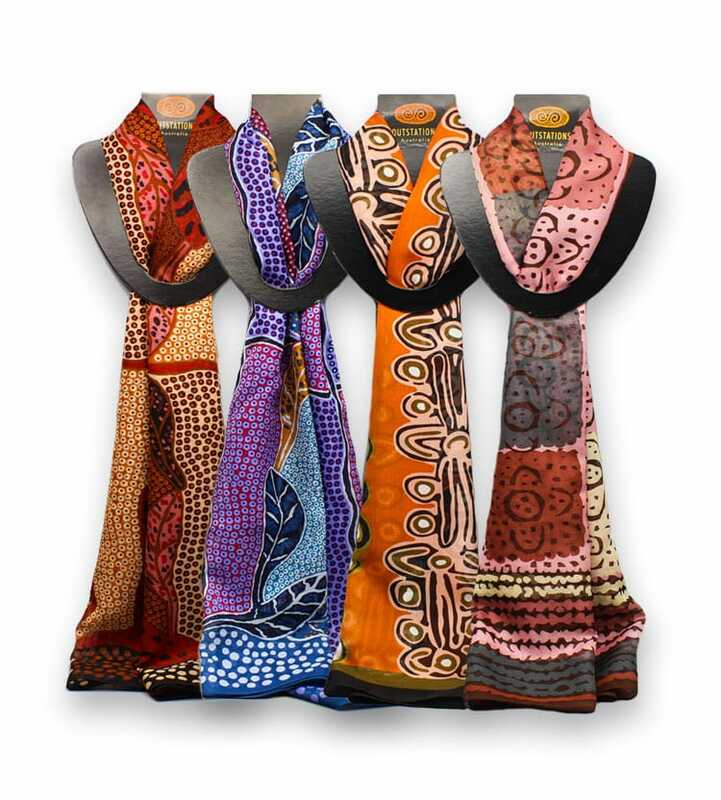 Our Aboriginal inspired Australian Made scarves make ideal gifts to take overseas or to gift to an overseas business partner or VIP. Photographed above, our Outstations Aboriginal scarves come in 10 beautiful colours and designs and are 100% Australian Made. Each scarf comes with information about the artist and the traditional artwork used, making them a perfect and interesting Australian Made gift idea. Outstations scarves are licensed, meaning that when you purchase one, not only are you buying a great Australian gift, you're also supporting local Aboriginal artists around Australia. See all our Australian scarves below and give a gift of a lightweight and colourful authentic Australian souvenir. 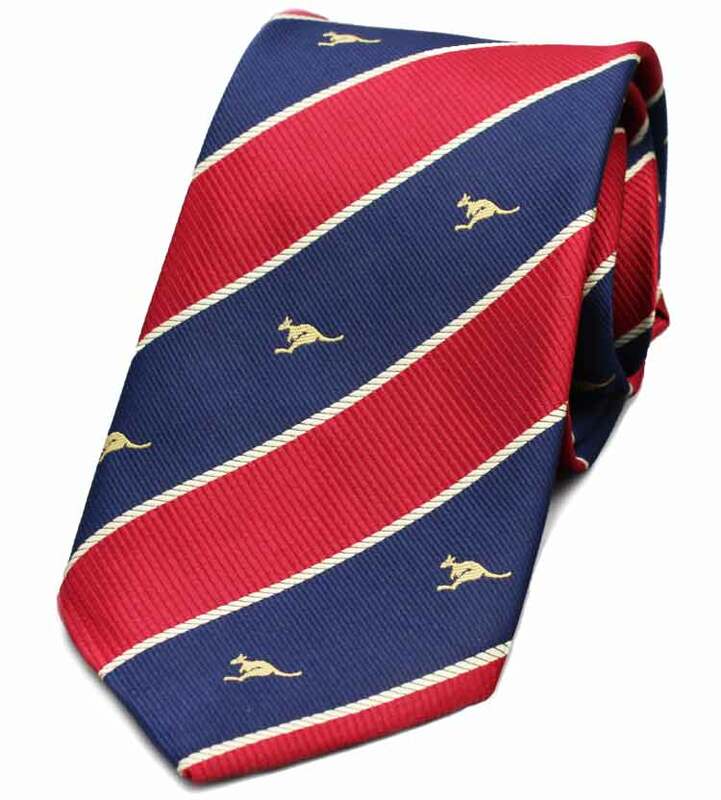 Made from high quality silk, our souvenir neck ties make ideal Australian themed gifts. In a variety of colours and styles, these ties are perfect Australian gifts for business trips and overseas VIP meetings. Lightweight and easy to pack, our Australian souvenir neck ties are guaranteed to show your gift recipet that you have put real thought into thier gift, whilst showcasing a real sense of Australia. Don't be deceived by the size of these quality Buttonworks Wooden Pot stands. With the largest size weighing in at around 450g and coming packaged in a recycled cardboard box, these are idea corporate gifts. There's also a mini size at only 16cm diameter. What's more, each design is unique as the wood used varies in colour, grain and shade - making these pot stands a truly unique Australian souvenir. 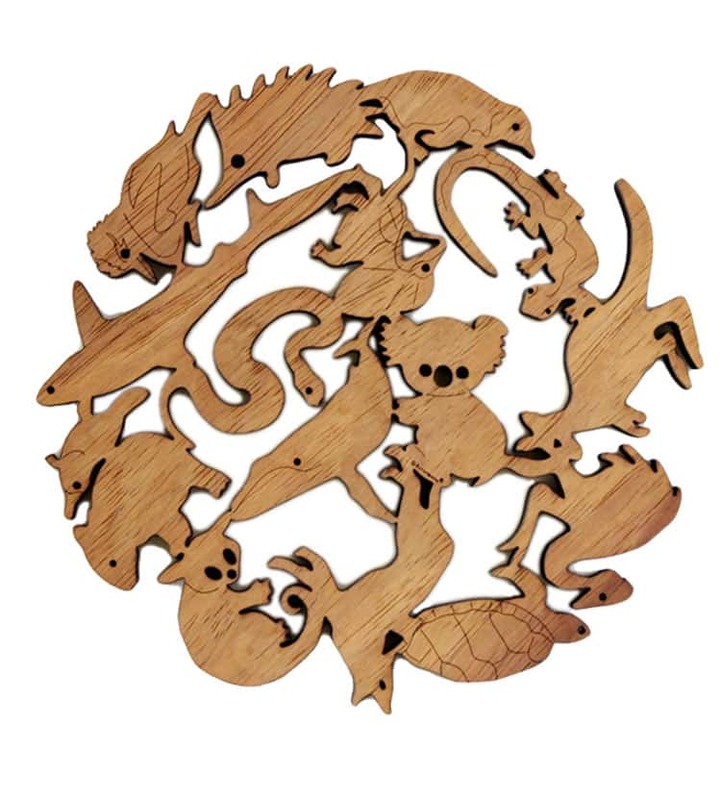 Made in Australia and featuring native Australian flora and fauna, your gift recipients are guaranteed to fall in love the designs. Each Australian Made pot stand is sealed for protection, making it stain proof and heat resistant. A definite winner for a beautiful Aussie souvenir. 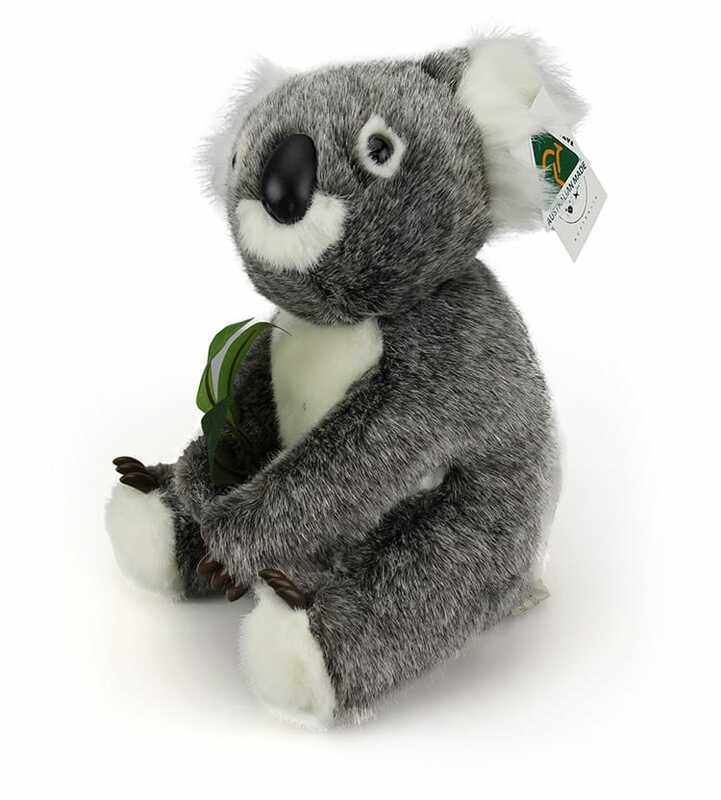 No list of Australian gift ideas could be complete without mentioning soft and cuddly Australian Made koalas and kangaroos. 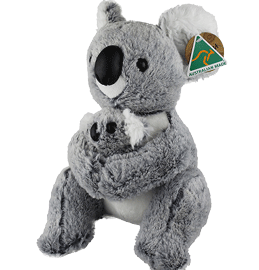 Our range of Aussie Made plush toys doesn't just focus on the native kangaroo and koala, oh no. We also have adorable wombats, emus, quokkas, cockatoos, crocodiles and many more. Light and squash-able, our soft toy gifts from Australia make unique gifts whether it be for a homesick Aussie relative or a friends newborn bub. See, we told you we have the best souvenirs from Australia. We're only at Aussie gift number four and we've got plenty more Australian things to come! 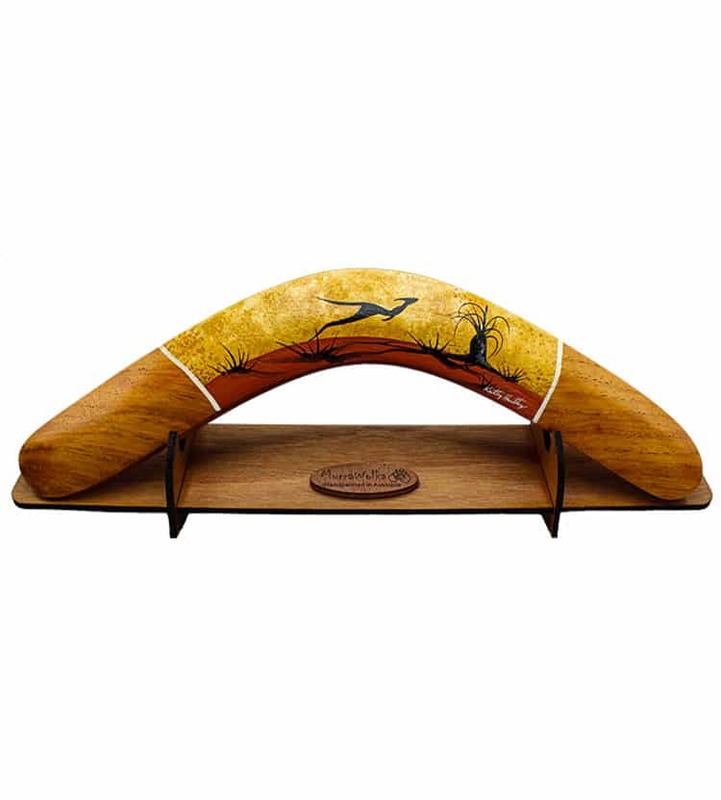 These Australian Made Boomerangs have to be one of our most popular Australian corporate gifts. With a number of hand painted designs and colours, they sit beautifully in any living room or office. Need a Australian gifts to take overseas on a business trip or to meet a new client? 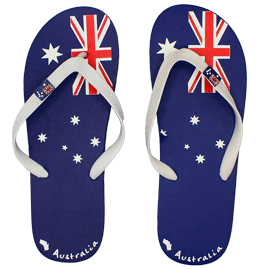 With two sizes to choose from these are one of the best souvenirs from Australia. Each boomerang is hand painted in Australia and thus is unique - making them thoughtful Australian gifts. 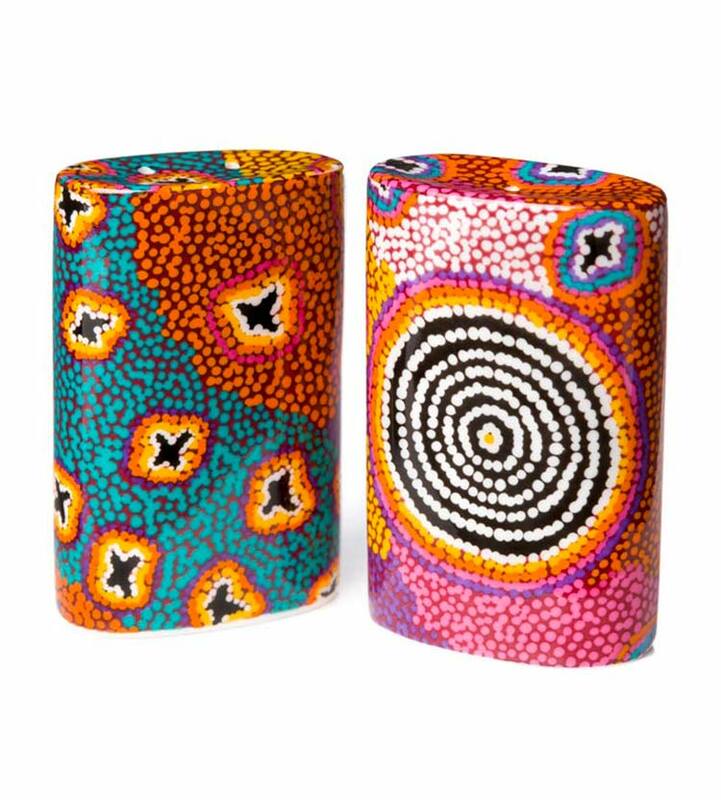 Murra Wolka, the creators of these beautiful Aussie gifts, are an authentic third generation family business that supports local Aboriginal communities. Therefore you can rest assured that purchasing these boomerangs go towards a good cause. Now we know what your thinking, gifts Australia, mugs?! Whilst a boxed mug may take up slightly more room in the suitcase, they can arrive safe and sound. Over the years we have decided to only stock Australian mugs that come with a box, to reduce the possibility of breakages on route. What's more, when ordering online, we ensure all our Australian souvenir mugs are packaged securely with bubble wrap and packing. This makes it easy for you to add the to your suitcase and get distributing those beautiful Aussie gifts. 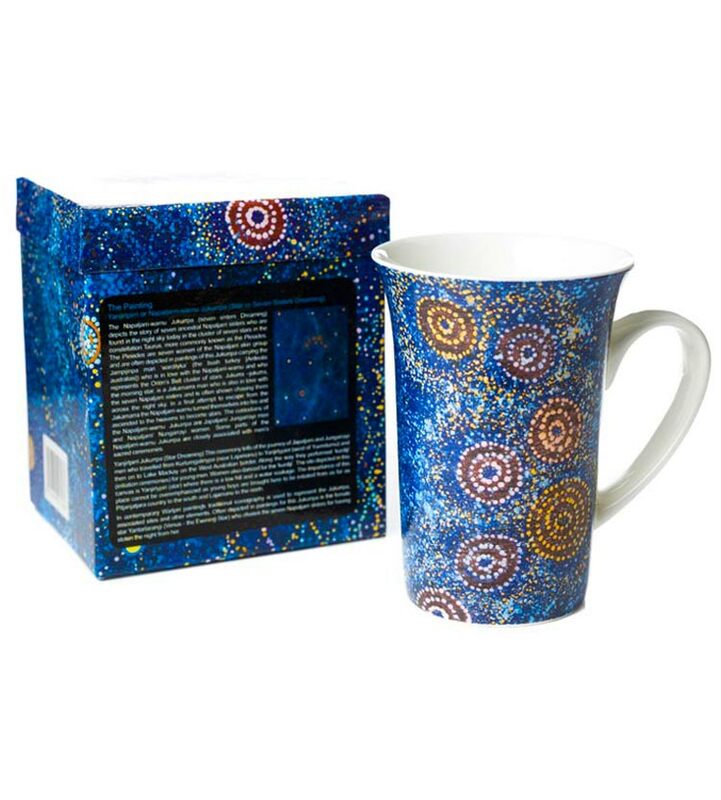 Here at Australia the Gift we have a huge range of boxed Australian mugs in a variety of colours, designs and styles. So whether you're looking for a cute koala mug, an authentic aboriginal mug design or a new china tea cup - we'll have unique Australian gift ideas for you. And it doesn't have to stop there! 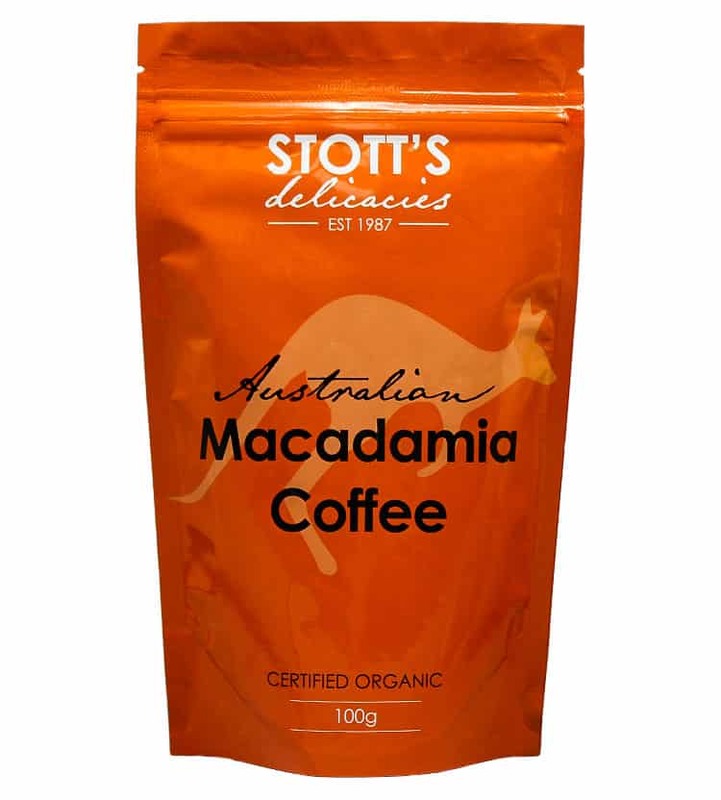 Why not partner your mug gifts with some more unusual gift ideas, like Macadamia Coffee or Mango Tea? Or if you're not sure on your gift recipients favourite brew, why not a scatter tea tray or coaster set? Ok, we're getting carried away - back to the Australian gifts guide! Small, awe-inspiring and light, these unique Australian photo books make great additions to any living room or corporate office. 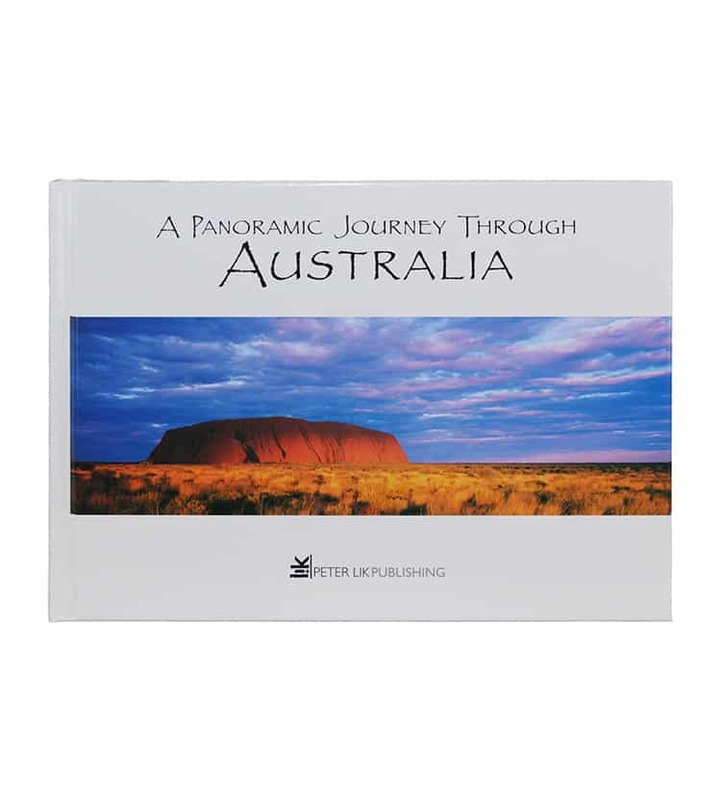 Choose from a range of Peter Lik photography books including native Australian flora and fauna, stunning landscapes and city locations. So if you're visiting a book worm and looking for unique Australian gifts for overseas, look no further. Each page turn opens out to an incredible image taken by the Australian photographer Peter Lik. These books offer a set of unique gifts from Australia that are bound to please and make excellent Australian corporate gifts for business trips. Now we understand most of our best souvenirs from Australia list has been more targeted at corporate clients and adults. But what if you're looking for unique gifts from Australia for a child who seemingly has every toy and game on the market? These build-it-yourself Australian animal toys are a great hands-on gifts from Australia. Choose from a variety of native Australian animals including kangaroos, koalas, cockatoos and also some more unusual ones like penguins and sheep! If you're really trying to impress on your next business trip and have your Australian corporate gifts locked down, these unique Aussie gifts are real crowd-pleasers. Each animal pack contains instructions and non-toxic glue. Simply glue together the cardboard peices in order to bring your Australian animal to life. A great, unusual Australian gift for kids! Australian hand creams are both a thoughtful and practical Australian gift to take overseas. We have a large range of moisturising Australian Made skin creams including placenta cream, lanolin cream and more. 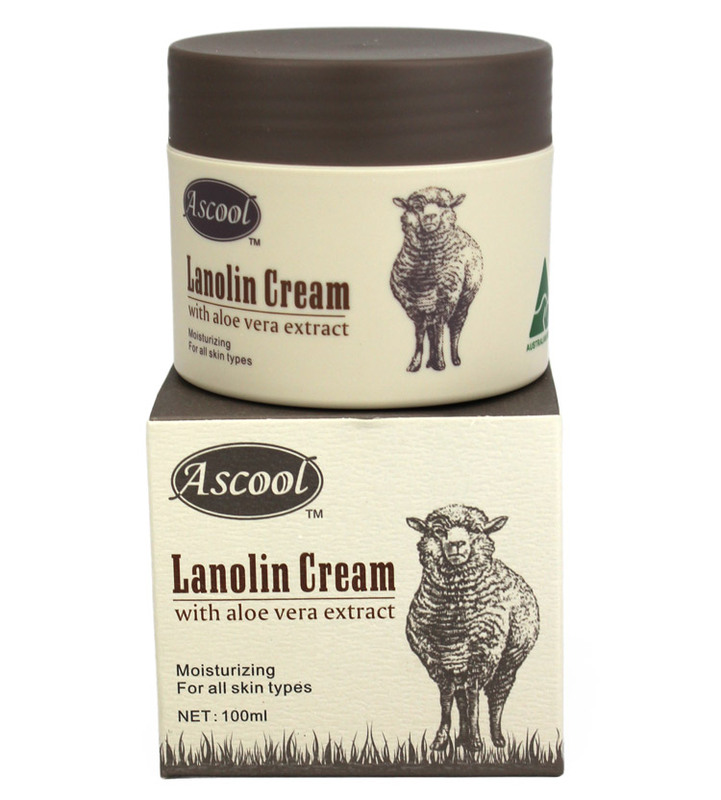 Lanolin cream in particular is a great way to treat dry skin and minor skin irritations. Heading to China and need an Australian corporate gift? We'll let you in on a secret. Our customers in Asia love our Australian Made placenta cream and would be very thankful to receive it as a corporate gift. To see all our beauty creams, click the button below and get browsing! We're half way through our Australian gifts guide and we're hoping you're suitably inspired to find Aussie souvenirs. If not, let's keep going! 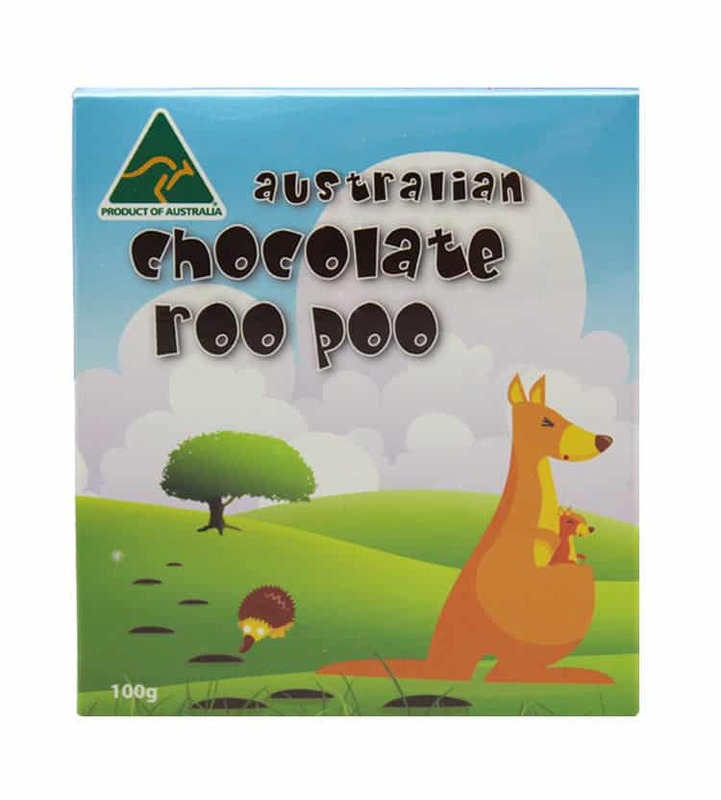 Next up on our best Australian souvenirs to take overseas list is Roo Poo Milk Chocolate packs. At only 100g per pack, these mini boxes of Australian tastiness won't take up too much space in the suitcase. Made in Australia these chocolates are a delicious and hilarious Australian souvenir that will be bound to get a laugh. Not a fan of the humble Australian kangaroo? We also have a Koala Poo variety too! If these aren't quite the Australian corporate gift you're looking for then click through to our Aussie chocolates range below and see our selection of delicious chocolate treats. Now before you ask how is a beautiful Aussie hat supposed to travel safely in luggage, it's important to know that all our women's hats are specifically designed to be squashed and folded in travel. 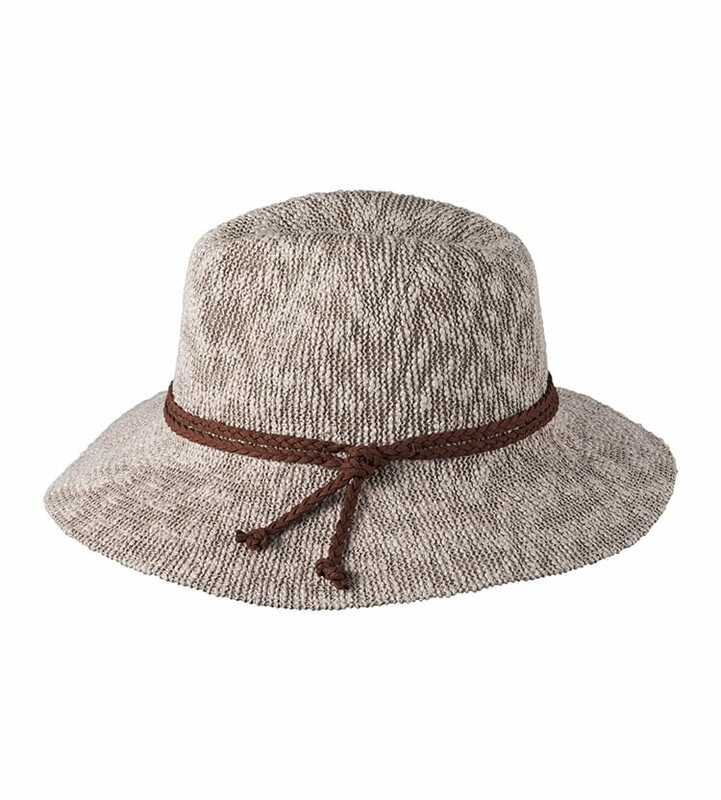 Our range of ladies Australian hats and visors are among some of our best souvenirs from Australia. Here in the land down under we're blessed with miles upon miles of pristine beaches. So why not celebrate that and show friends, family and colleagues around the globe the importance of sun safety and beach chic. Coming in a variety of styles, sizes and materials, our Australian souvenir hats are truly unique Australian gifts. Whilst these sugar bowls are likely one of the heavier items on our Australian gifts guide, we don't think that should be too strong a deterrent from treating someone to a unique Aussie gift idea. These sugar bowls are relatively new addition to the Australia the Gift range and so far have been an absolute hit! 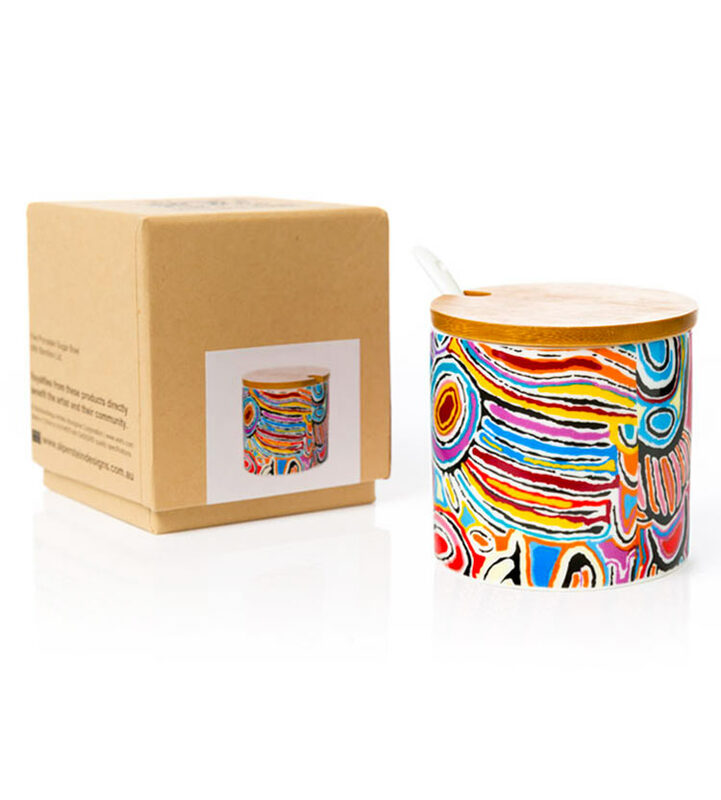 With thick cardboard packaging surrounding the porcelain gift, you can relax in the knowledge that your awesome Australian gift is safe and sound in your luggage. 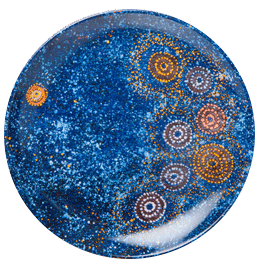 Choose from a variety of styles, all designed by Aboriginal artists. If you needed any more reasons to take our advice on these unique Aussie items, you may also like to know that sales of items in this range are all royalties paid, meaning local artists benefit directly from your purchase. Now we know what you're thinking, how have I stumbled on a blog post about kangaroo scrotum bottle openers? But hear us out. These unique gifts from Australia are one of our best souvenirs from Australia. People just love them and they've become somewhat synonymous with the land down under. 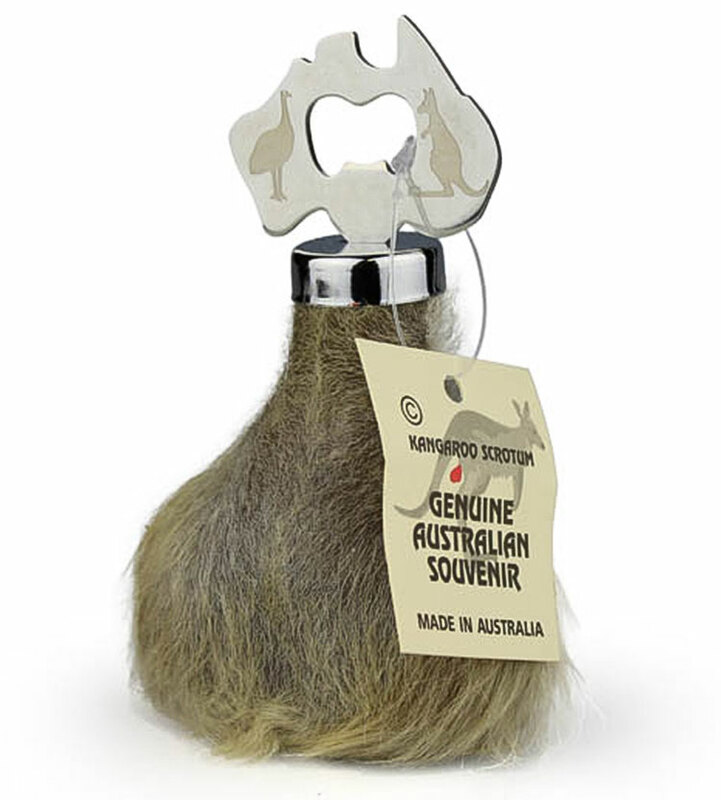 Whilst you may not necessarily be thinking of gifting these kangaroo balls as a corporate gift from Australia (unless your boss is very out there) they still offer a hilarious Australian gift idea. 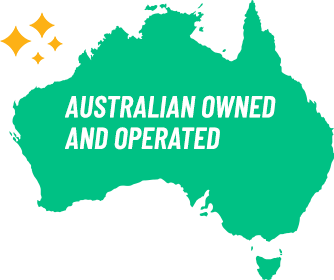 We would like to stress that all our kangaroo scrotum products are sourced and processed in accordance with Australian National Parks & Wildlife Service rules and regulations. 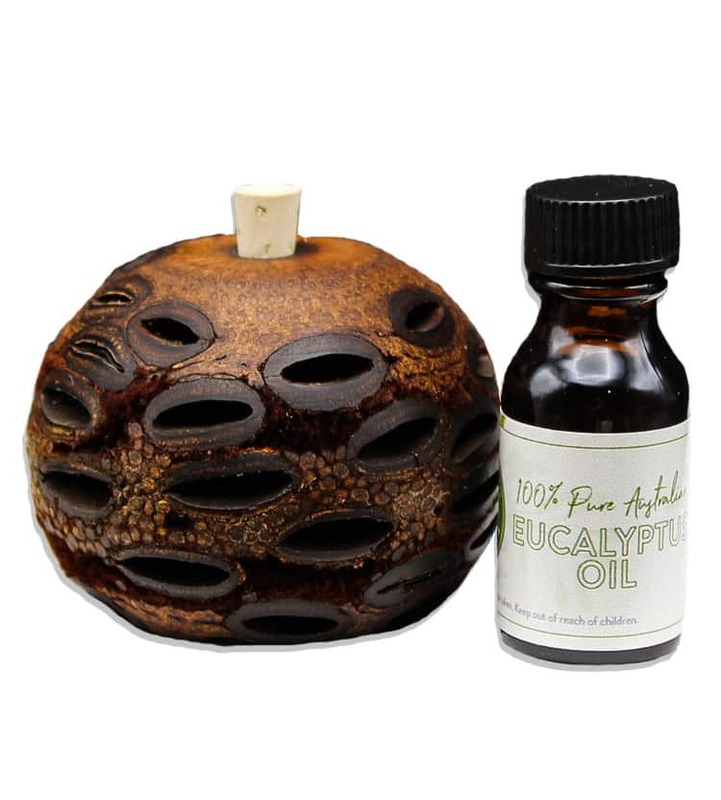 So if you're really looking for unique gifts from Australia, these kangaroo scrotum products may just be for you. These colourful salt and pepper shakers are definitely one of our favorite Australian souvenirs in our gift guide. Light weight and small, these Australian gifts offer a practical gift idea, whilst delivering a sense of Australian style. Made from fine bone china and packaged in a beautiful gift box, these small salt and pepper shakers are a unique Australian gift idea. The image above features artwork by Ruth Stewart from Warlukurlangu Artists of Yuendumu who are located 300km outside of Alice Springs. 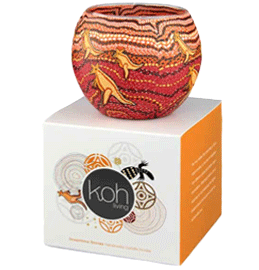 As with many of our Aboriginal gifts, each purchase within this range generates Royalties which directly benefit the artist and their community. Once again, our complete Australian gift guide is here to help you find an adorable gift for a little one. 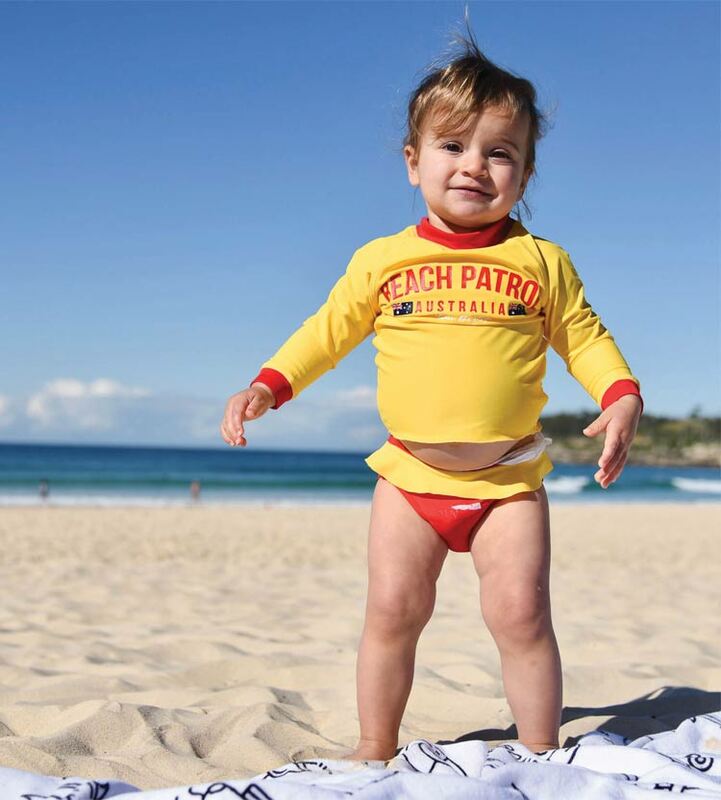 Our new Between The Flags Beach Patrol range features the iconic yellow and red surf lifesaver design in a range of sizes to newborn bubs, all the way up to 12 year-olds. With a variety of gifts from Australia, the range focuses on sun-safe kids rashies, caps and bucket hats, swimming costumes, t-shirts and hoodies. We know you cant take the beautiful Australian beach with you on our trip overseas, yet with our Beach Patrol range, you can gift someone an iconic Australian themed souvenir. Coasters are a one of the best souvenirs from Australia to take with you on your holiday or business trip. We have a huge range of coaster sets in a variety of styles that are all small, packaged beautifully in boxes and more importantly - light! One range of products that are particularly popular Australian gifts to take overseas are Australian Gum Leaf Products. All products in this range are handcrafted and Australian Made - making them truly unique gifts from Australia. 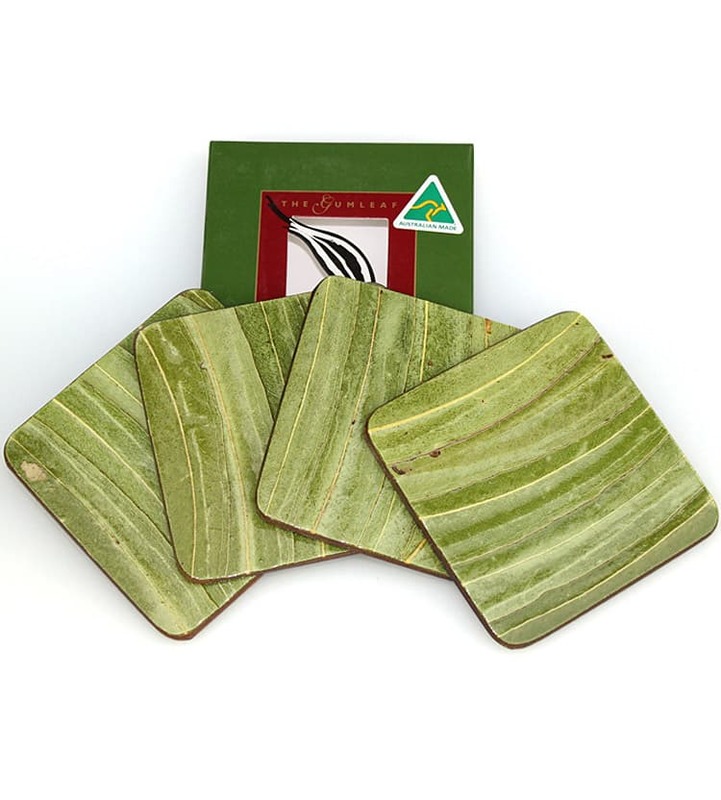 Choose from gum leaf pot stands, coaster sets and place mat sets to find yourself a great Australian souvenir. 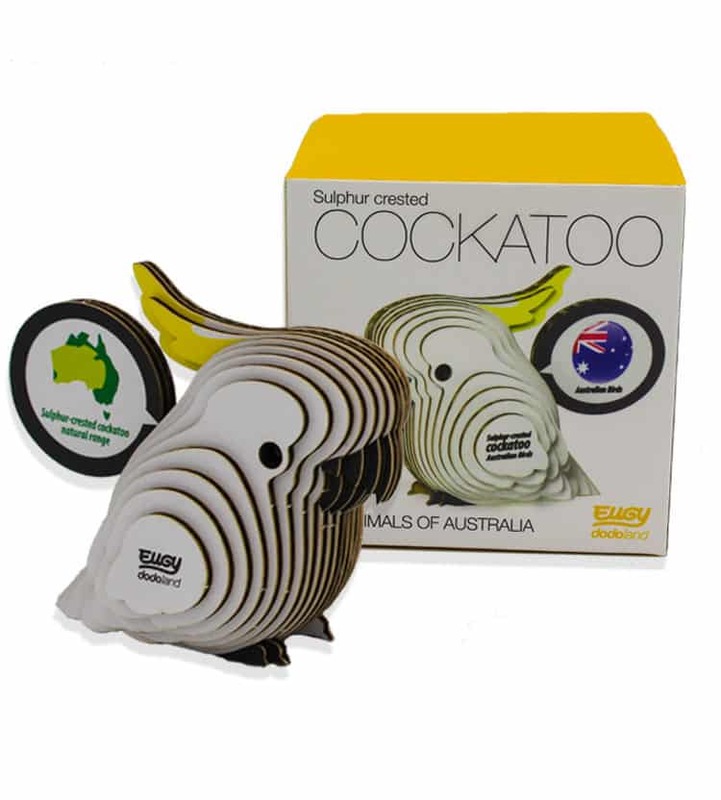 What better way to introduce a touch of Australia into any home or workplace? Our Australian Made tea towels are made from high quality linen and feature iconic designs and animals. 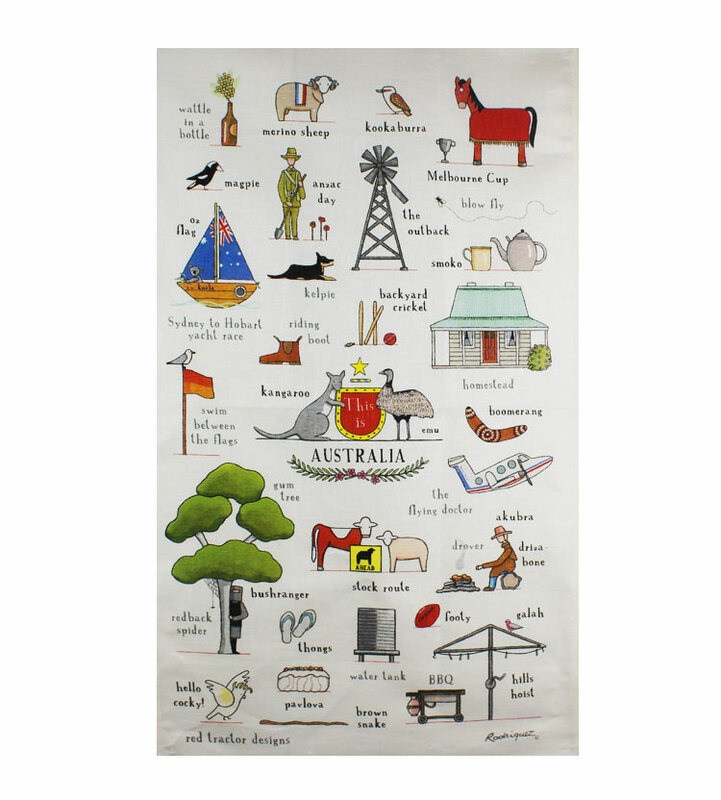 We know that Australian tea towels may not sound like the most exciting gift you can give but trust us, they are very popular and are some of the best souvenirs from Australia. Australian tea towels are also very lightweight and can be neatly folded into any size luggage. 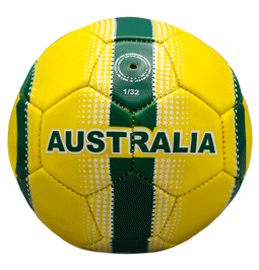 So what are you waiting for, click the button below and browse our Australian gifts now! Socks don't need to be boring, that's why we have selected a range of sock designs that make truly unique Australian gift ideas. 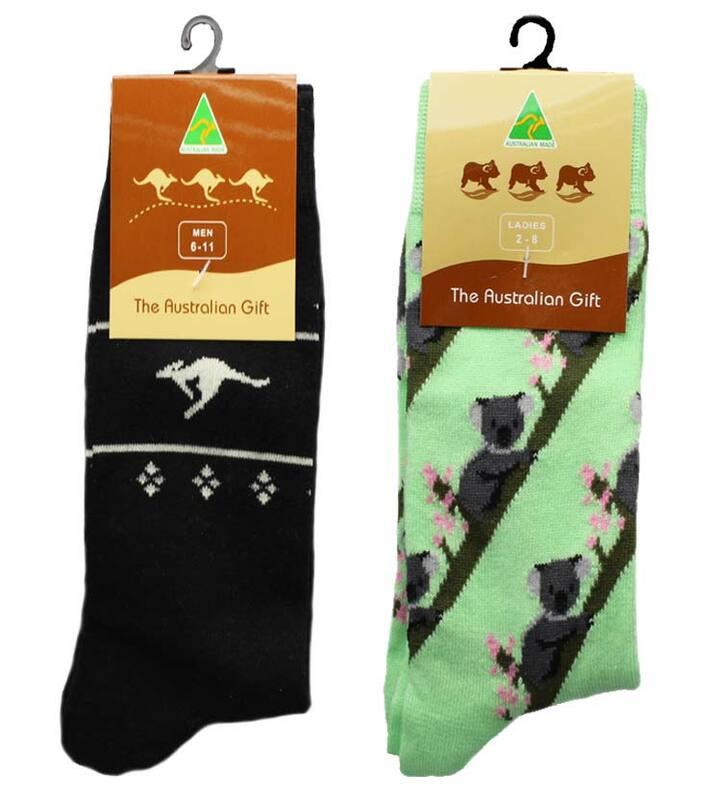 Our range spans both mens socks and women's sock sizes and features iconic Australian kangaroos, koalas and more! All our socks are Australian Made, making them both a quality and thoughtful Australian souvenir. Our socks aren't all loud and colourful. We also offer a selection of styles that are more ideal for business. These more incognito designs are great corporate gifts for overseas business partners. Ahh, there's nothing quite like the unmistakable scent of eucalyptus. 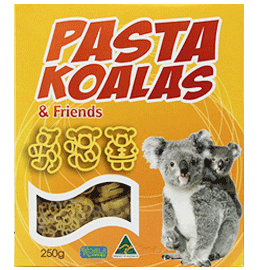 It's no wonder our beloved koalas enjoy the stuff so much. And if the aromas weren't enough to convince you that these Australian gifts are perfect for you to take overseas, they also come with a native Banksia seed pod. Made in Australia and sustainability sourced, our Banksia Pods make really unique gifts from Australia that are guaranteed to leave a lasting memory on the recipient. Not a fan of eucalyptus? No dramas! We also range a number of unscented Banksia Seed Pod candles and tea-light holders. Wondering about customs and imports? All our Banksia Pods come with a manufacturers guarantee which ensures they can be taken around the world with no issues. So you've reached the end of our Australian gifts guide and are still a little unsure of what are the best souvenirs from Australia? Never fear, we have one more ace up our sleeves. COFFEE! It's fair to say the modern world has gone somewhat bean-crazy over the past few decades. That's why taking a gift of our delicious coffee overseas will go down better than that first of the day flat white! Not sure if they drink coffee? We've thought of that too. We also offer a range of Australian Tea blends that are truly unique gifts from Australia. 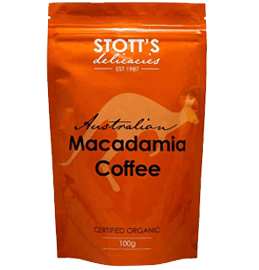 All our Stotts blends are certified organic and Australian Made - making them excellent Aussie souvenirs. Made it to the end and still need Australian gifts inspiration? Awesome Australian Gifts for the beach bum in your life!